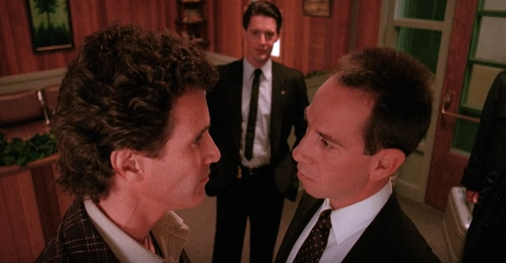 And with this episode, things take a weird turn by way of Tibet and Cooper’s dreams. Oh, and I’d like you to meet Albert Rosenfield. This has been fun so far, going back and watching them listening to the cast. Are you guys going to include the fire walks with me: missing pieces feature?